What Do the Numbers on Your Credit Cards Mean? Those 15 or 16 numbers embossed on the front of each of your credit cards aren’t randomly assigned. That sequence of digits has actual meaning and indicates everything from your account information to the bank issuer. Let’s break it down. First, you should know that the only organization that can assign credit card numbers is the American National Standards Institute—a nonprofit that represents more than 125,000 companies and 3.5 million professionals. The ANSI assigns every card number for specific systems, such as MasterCard and Visa, and banking institutions, including JP Morgan Chase and Citibank. Once you swipe your card, a terminal (or credit card reader) uses the magnetic strip on the back that stores your card number to determine where the transaction should go. That is to say, it routes through the correct network and bank for approval. This is where the function of each digit becomes important. The first digit or two of a credit card number sequence indicates the card issuer. For example, if your card begins with the number 4, it’s a Visa; a 5, a MasterCard; a 6, Discover; and 34 or 37, American Express (clearly the credit card number diva here with two starter digits). But here’s where the breakdown gets slightly different with each card. For Visa cards, the second through six numerals indicate what financial institution the card belongs to—the bank number. The seventh through 15th (or seventh through 12th) digits are the account number. The 16th (or 13th) digit is the check digit, which calculates the number by using the Luhn algorithm to validate the initial numbers on your card; the check digit is also used to prevent mistakes when a credit card number is entered manually as well as prevent fraudulent activities. On MasterCards, the second and third, second and fourth, or second and fifth digits indicate the bank number. The numerals after the bank number through digit 15 make up the account number, while digit 16, again, represents the check digit. 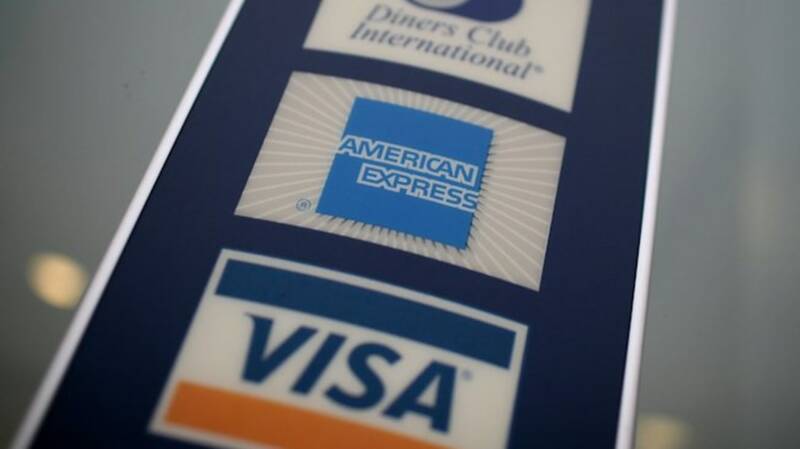 As for American Express cards, digits three and four are the type of card (business or personal?) and currency (American or Canadian dollars? ), respectively. The fifth through 11th digits make up the account number, digits 12, 13 and 14 indicate the account number within that account, and numeral 15 is—wait for it—the check digit.